Cherries would have to be my favorite fruit and because their growing season is so short I eagerly look forward to them each year. As soon as they hit the shops I buy up big. 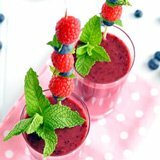 One of the easiest ways to use them is to throw them into your blender. 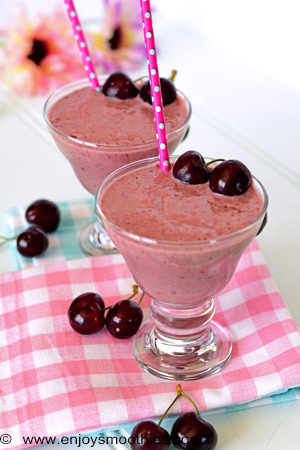 But of course you don’t need fresh cherries to make a cherry smoothie. 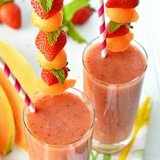 You can enjoy them year round by using frozen fruit, and these recipes can be made using either. Cherries are a stone fruit most closely related to plums and have been around for thousands of years. There are two main types: sweet and sour. 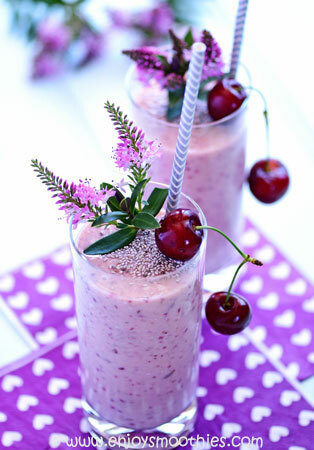 Sweet cherries are the ones I use for smoothie making. Their sweet flavour goes with almost anything, from berries, other stone fruits and tropical fruits such as pineapple. The cherry season lasts from May to August in the Northern Hemisphere and from November through to February in the Southern Hemisphere. When buying look for plump fruit that ranges in color from light to bright red to purplish-black. The fruit should be firm with a glossy smooth skin and the stems still attached. Avoid anything which is soft or shrivelled. Cherries deteriorate quickly so get them into the fridge as quickly as possible. Store in a plastic bag or a suitable covered container. They will keep in the refrigerator for up to 2 – 3 days. Wash just before eating. If your cherries contain any moisture during storage, they may split or spoil. When fresh cherries are not available use the pitted, frozen variety. You can easily freeze your own. 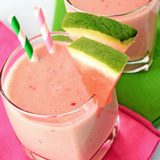 If you are freezing them to throw into your blender, definitely pit them first. Spread on a baking sheet in a single layer then place in the freezer. Freeze until firm, then transfer to a bag or container. Remove as much air from the bag as possible then seal. Cherries will keep for up to a year in the freezer. One of the main benefits of eating cherries is that they are very low in saturated fat, cholesterol and sodium. One cup contains less than 90 calories. But they have other benefits as well. 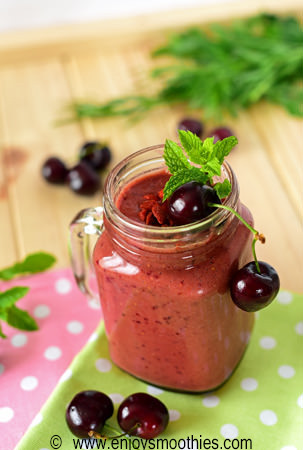 Cherries are rich in antioxidants helping to repair damage caused by free radicals. In fact their rich, red color comes from anthocyanins which have anti-inflammatory properties. Anyone suffering from gout, arthritis, fibromyalgia or muscle inflammation from too much exercise is encouraged to eat cherries. But what is probably less well known is that cherries help with insomnia, as they contain melatonin, a hormone that regulates our body clock and sleep cycles to help you get a good night’s sleep. Because of their high levels of antioxidants cherries also protect us against cancer and heart disease. 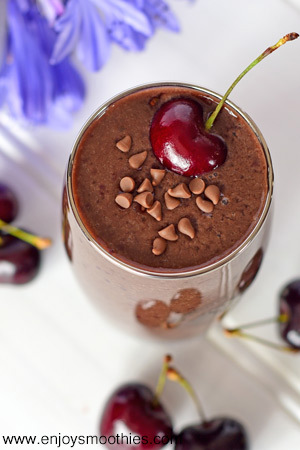 What goes together better than cherries and chocolate? 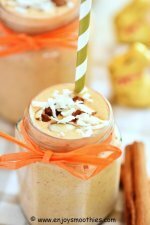 This is a MUST try smoothie. 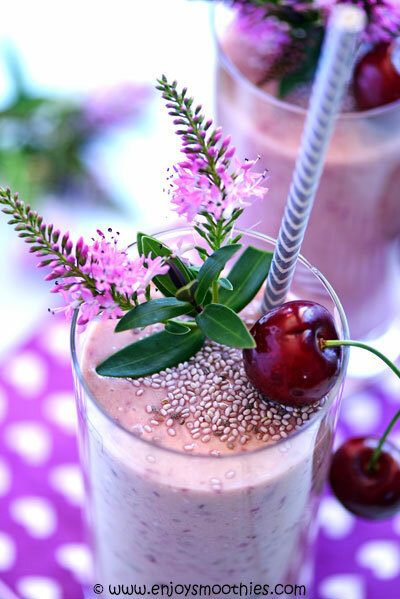 Load your cherries, almond milk, banana, cacao powder and dates into your blender jug. Gradually turn up to high as your ingredients become smooth and creamy. Then pour into one large or two small glasses and enjoy. Blitz together the frozen banana, cherries, Greek yogurt, coconut milk, chia seeds, grated ginger and chopped Medjool date until thick. 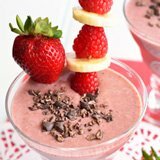 Combine the cherries, raspberries, coconut milk, Goji berries and vanilla bean paste in a blender and mix until smooth. 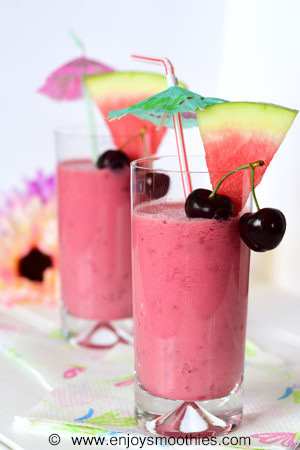 In a blender combine watermelon, cherries, raspberries, coconut water and yogurt. Secure lid and turn your blender onto low. 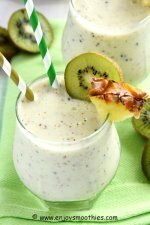 Once all the ingredients are combined turn up to high and blender until your smoothie is creamy. 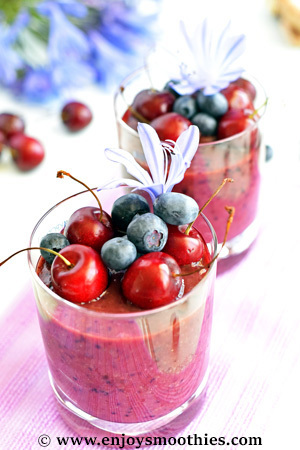 Add the frozen cherries, avocado, almond milk and yogurt to your blender. 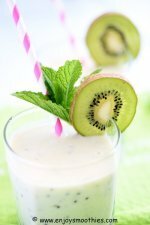 Blend on high until everything is smooth and creamy. 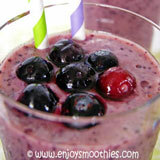 Blend together the orange, cherries, blueberries, almond milk and grated ginger until thick and creamy. Pour into two glasses and enjoy.